*Calypso Cay* is a Caribbean-themed resort playground for the entire family, with numerous swimming pools and water features, a lighted miniature golf course, and acres of fun. This resort is just a short drive from the many attractions central Florida has to offer, including Walt Disney World, Universal Orlando, and SeaWorld, and is only about an hour's drive from Busch Gardens, Kennedy Space Center, and world-famous beaches! For more information, visit www.calypsocayway.com. With RCI membership, week exchanges for 63,000 RCI points! Buyer will have immediate usage in 2019! Annual floating week! Just a short drive to major attractions! More than a 30% discount off of resort prices!! Price recently reduced! Price is negotiable! Annual week 33! Buyer May Receive A Title Fee Credit, Inquire For Details! Enjoy week 37 in Florida! 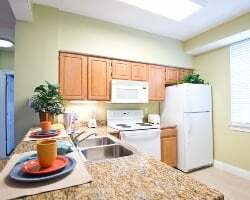 Convenient location near theme parks! Buyer May Receive A Title Fee Credit, Inquire For Details! Owner is unable to use due to health problems. Yearly usage in April week 17 in Red season! Serious offers will be considered! Sale will include 2 additional weeks of use as an incentive to the buyer! Buyer may receive a title fee credit, inquire for details! Play a round of mini golf onsite! Get to choose your week each year! Buyer May Receive A Title Fee Credit, Inquire For Details! Within close proximity to everything you could possibly need! Buyer May Receive A Title Fee Credit, Inquire For Details! Central location near a variety of activities! Buyer May Receive A Title Fee Credit, Inquire For Details! Just moments away from exciting attractions available for all ages! Buyer May Receive A Title Fee Credit, Inquire For Details! Explore Florida during high season week 36! Price Recently Reduced! Price Is Negotiable! Buyer May Receive A Title Fee Credit, Inquire For Details! Within close proximity to everything you could need! Enjoy an even year floating week! Inquire for details! Willing to negotiate! 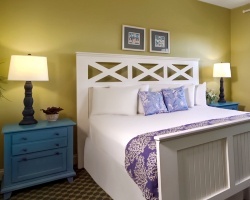 Great week to enjoy this Caribbean-themed resort and the surrounding local attractions! Buyer may receive a title fee credit! Perfect resort for enjoying the very best of the Orlando area! Make an offer today! Buyer may receive a title fee credit, inquire for details! Reasonable offers will be considered! Willing to negotiate! Resort has many onsite amenities! Buyer May Receive A Title Fee Credit! Central location near a variety of activities! Even year floating week of your choice! Inquire for details! Conveniently located near everything you could need! Even year week 44! Buyer may receive a title fee credit, inquire for details! Highly motivated seller ! Price Negotiable! 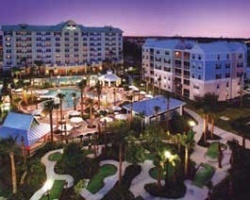 Come to this beautiful resort only minutes from all of the major theme parks! All offers will be considered! Relax in Florida each year! Perfect for family vacations! Buyer may receive a title fee credit, inquire for details! Great spot for relaxing after a day at the theme parks! Annual week 12 usage! Buyer may receive a title fee credit, inquire for details! Lovely resort perfect for your family vacations! Buyer will have immediate usage in 2018! Price is negotiable! Buyer may receive a title fee credit! Price Just Reduced! 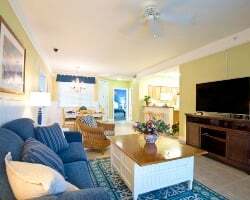 Tropical Resort with all Major Theme Parks Only a Short Drive Away Disney World! Week 31 usage! Make An Offer! Newest phase of this Orlando resort. No reasonable offer refused! Tropical resort with all major theme parks just a drive away! Even year floating week of your choice! Inquire for details! Beautiful Caribbean themed resort! Even year floating week! Buyer may receive a title fee credit, inquire for details!